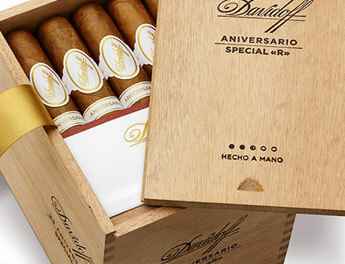 As with Davidoff's Signature series, the Aniversario series combines two former collections (Special Series and Aniversario series), offering multiple flavor profiles between every cigar in the lineup. Indeed, some sizes (such as the Aniversario Entreacto) make use of an Ecuador wrapper over an Ecuador binder and Dominican fillers; other cigars in the collection showcase an Ecuador Connecticut wrapper over an all-Dominican binder/filler blend. 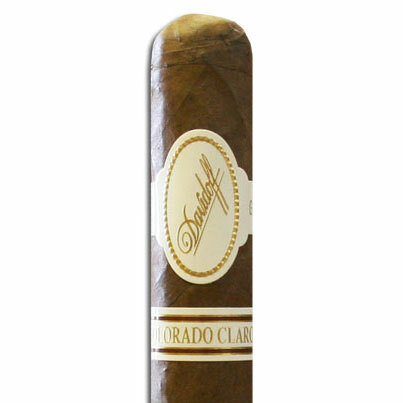 Together, these cigars make up the Davidoff Aniversario series, a collection that is considered the most full-bodied among the original "White Label" cigars (with the Signature series being the most mild, and the Grand Cru landing in the middle). That being said, Aniversario is still a medium-bodied cigar in today's standards. Instead of attempting to "shock" the cigar smoker's palate with brash strength, Aniversario offers finesse and harmony. Davidoff Aniversario shows bright and bubbly flavors from start to finish, including freshly cut cedar, mixed nuts, buttered crackers, white pepper, and a refreshing Champagne-like sensation through the nostrils. It's a cigar worthy of life's biggest anniversaries, even if that may be life itself.